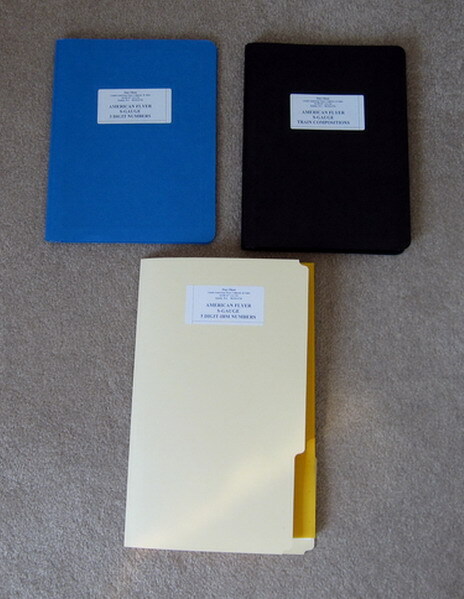 Maury Romer American Flyer IBM Numbers (Set of 3) Mint Condition. - $80.00 : Olson Hobbies, Welcome To The Train Page! 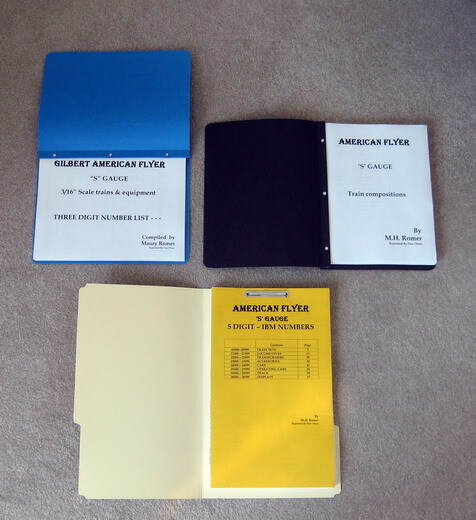 Copies of Maury Romer's American Flyer S Gauge Series IBM Numbers listing. These cover various items, including locomotives, transformers, accessories, cars, operating cars, and trackage. These are made from originals I have from the book once maintained by Maury Romer when he worked for the A. C. Gilbert Company. Every time an item would be introduced by the factory a manufacture number would be assigned by Maury, along with the description, and date. These also show items that were cancelled and not put into production. A listing of five digit sets is also available. I find these have been interesting to have for information and history of the factory numbering. I have had the original book for a long time and have been asked to bring these back for offering. The copies are legible and you will enjoy looking through them. The pages come in folders for protection. You may view individual listings for more pictures and descriptions of each book available.